California’s 2017 walnut acreage is estimated at 400,000 acres, up 10 percent from 2015. Of the total acreage, 335,000 were bearing and 65,000 were non-bearing. Of the walnut acreage reported, Chandler continues as the leading variety with 121,524 bearing acres, followed by Hartley with 30,172 bearing acres. Chandler also accounted for 59 percent of the non-bearing acreage. Butte County shows the largest acreage with 16 percent of the total, followed by San Joaquin with 14 percent and Tulare with 10 percent each. The Pacific Regional Office of the USDA’s National Agricultural Statistics Service (NASS) conducts an acreage survey of California walnut growers. The purpose of this survey is to provide walnut acreage information on new plantings and removals. It is a continuation of a long series of industry-funded walnut acreage surveys. The major source of the walnut detailed data was a questionnaire mailed to all walnut growers included in the NASS database. The mailing was made to approximately 4,900 walnut growers in early November. The questionnaire contained previously reported crop, variety, and acreage information preprinted. Producers were asked to update the information with new plantings, removals, and any other corrections; new growers were mailed a blank questionnaire. Producers were given six weeks to respond by mail. A telephone follow-up was then undertaken. Field personnel personally visited large growers who did not respond by mail or telephone. To arrive at the estimated walnut acreage, the NASS walnut acreage database was compared with pesticide application data maintained by County Agricultural Commissioners and the California Department of Pesticide Regulation. In addition, NASS looked at data collected on the Walnut Nursery Sales Reports. The California State Organic Program’s advisory board, the California Organic Products Advisory Committee, has announced it is looking to fill nine vacancies on the 30-person committee. COPAC advises the secretary of the California Department of Food and Agriculture (CDFA) and the SOP on organic issues, and provides guidance on enforcement, education, outreach, and technical assistance for organic producers. The COPAC is comprised of leaders from the California organic industry, including producers, processors, wholesale distributors, a representative of an accredited certifying agency, a consumer, an environmental representative, a retail representative, and technical representatives with scientific credentials related to agricultural chemicals, toxicology, or food science. Each of the 15 representatives has an alternate counterpart who fits the same criteria. Appointments for advisory committee positions will normally be for three years from the date of appointment. A member may serve for two consecutive terms. After one year of absence from the committee, a former member may reapply for other vacant seats and may be appointed. As needed some appointments may be made for two years to allow staggering of terms. Term limits do not apply to alternates. The California Department of Food and Agriculture is now accepting applications for the Healthy Soils Program. The program provides funding for incentivizing and demonstrating soil health practices that sequester carbon, reduce greenhouse gases, and improve soil health. The HSP Incentives Program provides financial assistance for implementation of soil health practices that sequester soil carbon and reduce GHG emissions. 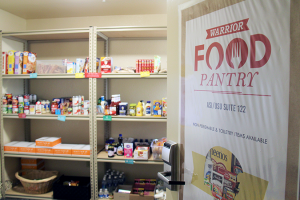 California farmers and ranchers, as well as Federal and California recognized Native American Indian Tribes, are eligible to apply. The HSP Demonstration Projects showcase California farmers’ and ranchers’ implementation of HSP soil health practices. By using demonstration projects, awardees can help support widespread adoption of soil health management practices throughout the state. 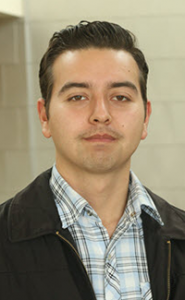 Not-for-profit entities, University Cooperative Extension, federal and university experiment stations, Resource Conservation Districts, Federal and California-recognized Native American Indian Tribes, and farmers and ranchers in collaboration with any of the aforementioned entities are eligible to apply. This grant process may prioritize funding to agricultural lands in counties where a state of emergency was declared in 2017 due to wildfires under executive orders signed by Governor Edmond G. Brown, Jr. These counties include: Butte, Lake, Los Angeles, Mendocino, Napa, Nevada, Orange, Santa Barbara, Sonoma, Ventura and Yuba. Applications and all supporting information must be submitted electronically by 5 p.m. April 13. Awards will be made based on a first-come-first-served basis and will be subject to administrative and technical reviews prior to being funded. 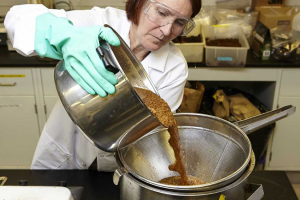 For detailed information on eligibility and program requirements, prospective applicants should visit the CDFA Healthy Soils Program website at: www.cdfa.ca.gov/oefi/healthysoils/. CDFA will hold two workshops and two webinars to provide information on program requirements and the application process. CDFA staff will provide guidance on the application process, provide examples, and answer any questions. There is no cost to attend the workshops. Individuals planning to attend should email grants@cdfa.ca.gov with his or her contact information, the number of seats required, and the workshop location. To register for the webinars, visit the program webpage at https://www.cdfa.ca.gov/oefi/healthysoils/. 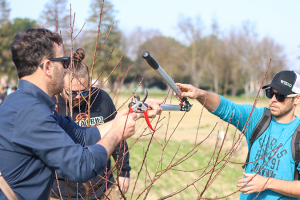 One of the 25 visiting farmers from Italy exchanges pruning tools with a Stan State student at the University’s sustainable garden. 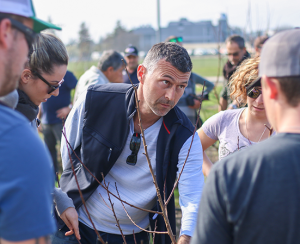 A member of the delegation of farmers from Italy talks with Stan State students about methods of pruning fruit trees. 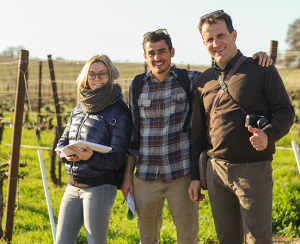 Three of the Italian farmers visit Bokisch Winery, west of Lodi, on Tuesday. Turlock was the base and Stan State was the first stop on the group’s three-day tour of the region. They spent an afternoon at 400 plus acre Frantz Nursery in Hickman, where co-owner Mike Frantz told them about how water is obtained, stored and used, and how the nursery’s irrigation runoff is collected and reused. Land the City of Manteca initially bought as a way to start development of municipal property where a 500-room hotel and indoor water park along with an adjoining family entertainment zone may be built could become part of an agricultural conservation easement. 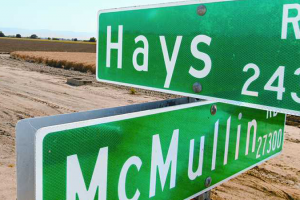 The San Joaquin County Council of Governments is seeking to purchase easements on 417 acres the city owns at 23000 Hays Road in rural South Manteca for a price not exceeding $5,000 an acre or $2,085,000. By buying an agricultural easement with fees developers pay for such a purpose, the land will be restricted to farming in perpetuity. The use restriction would be recorded on the deed and would apply to any future buyers of the property. Manteca bought the land near the San Joaquin River over a mile west of the T-intersection of Airport Way and West Ripon Road in 2010 using fees collected on sewer connections. The city purchased it for $3.4 million or $7,529 an acre. While that may seem like a money losing deal at first glance, it is far from it. The city has been leasing the land to farmers for a little more than $100,000 a year. Should be easement sale go through, Manteca will have received $2.8 million from the deal by the end of the year. But by retaining ownership, the city will recoup its initial investment based on future lease payments by farmers by 2024. Not only does it mean a positive cash flow in the future but it keeps the door open for possible use of the property to dispose of treated wastewater from the Manteca treatment plant if it is needed during a future expansion of the facility. The just completed $8 million infrastructure work that placed a new gravity flow sewer main beneath the 120 Bypass east of Costco as well as made it possible to develop an indoor water park and family entertainment zone on roughly 200 acres of city-owned land south of the wastewater treatment plant will go into service once a final link along Woodward Avenue is completed by developers. The wastewater that is now being pumped from as far to the east as the Woodward Park area will then flow by gravity to the treatment plant. The sewer line in place now would be cleaned and repurposed as a gravity flow line for delivering treated wastewater south of the 120 Bypass to irrigate existing and future parks. Given the line is already on the other side of the 120 Bypass it could extended south to the Hays Road property which was the city’s original intent and used to irrigate the 417 acres as is now done on land at the wastewater treatment plant that a farmers leases to grow corn for conversion into silage to feed dairy cattle. It also opens the door to possibly sell treated wastewater to farms located along a potential future purple pipeline extension to the Hays Road property. Much of the treated wastewater Manteca processes each day flows into the San Joaquin River where it is significantly cleaner than river water. The water at that point is up for grabs by others. A state law makes it legal for municipalities to sell treated wastewater. The City of Stockton has a deal in place than sells treated water it releases into the San Joaquin River to a down river agricultural user. The city initially moved to buy the property out of growing concerns the state could one day ban returning any treated water to rivers. At the same time the city wanted to convert the land between the 120 Bypass and the treatment plant proper they had purchased for future land disposal of treated wastewater to be repurposed into higher revenue producing property. Back in 2010 it was estimated the move would increase the value of the land set aside for land disposal where the family entertainment zone is proposed by more than 500 percent over the price originally paid. Any proceeds from the sale of land around the treatment plant for retail or business park purposes would go back to the sewer enterprise account. And since the Hays Road site was purchased using sewer connection fee revenue, the conservation easement payment would flow back into the enterprise account as well. The city has also toyed with creating its own green waste recycling facility on the Hays Road property that would be an applicable agricultural use. It was also discussed in 2010 since the city would have land disposal, that Manetas could pursue agricultural processing jobs that are becoming more sophisticated and better paying with various marketing strategies such as salad packaging. Currently the only such operation in Manteca — Eckert’s Cold Storage on Moffat Boulevard that processes pepper for pizzas — sends the water it washes peppers with through a purple pipe to the treatment plant site for land disposal. Such a food processing strategy would be a sharp departure from the last 40 plus years where the city avoided such operations like the plague since they gobbled up wastewater treatment plant capacity at the expensive of being able to serve homes. The sale of conservation easements would take one option of the table that was listed in 2010 when the land was purchased. That option entailed possibly creating a mega-regional treatment plant some 50 or so years down the road for Manteca and nearby cities. The SJCOG will review the conservation easement purchase proposal during two public hearings on Feb. 14 at 9:30 a.m. before the Habitat Technical Advisory Committee and Feb. 22 at 4 p.m. before the full SJCOG board. Both hearings will take place at the SJCOG building at 555 East Weber Avenue in downtown Stockton.